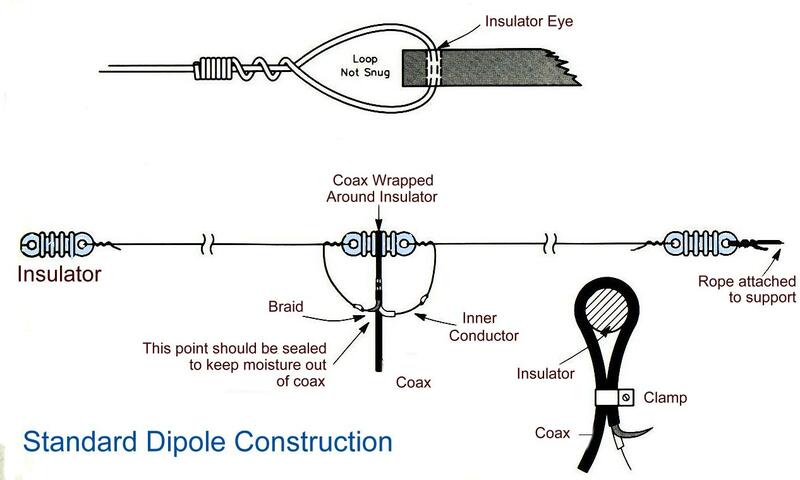 Strip 8 inches of insulation from the wire on the end of dipole. 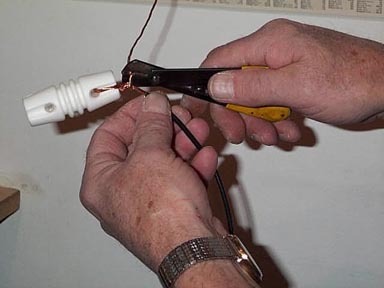 Measure 4 inches of wire that comes through the insulator. 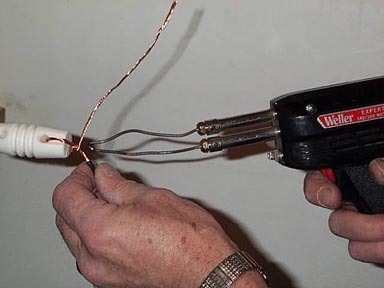 Twist wire to make good connection. Setup and measure the SWR. 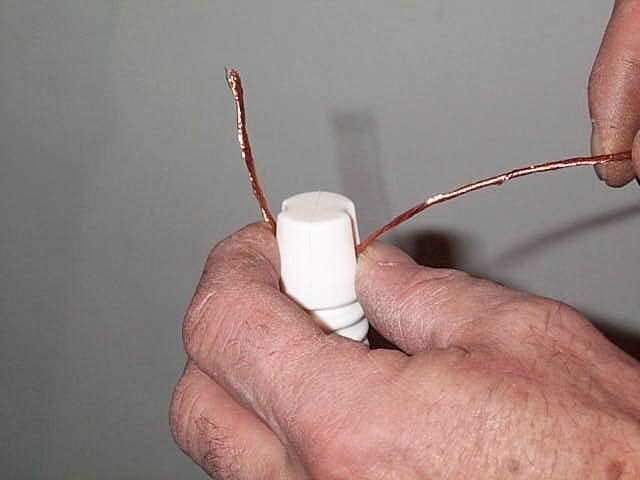 If the antenna is too long , pull more wire through insulator and twist then recheck SWR. Repeat this process until a acceptable SWR is found. 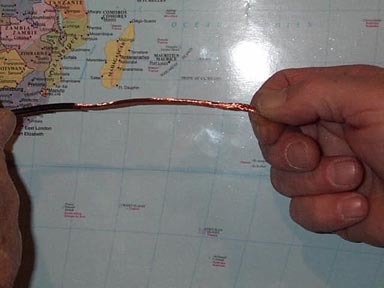 Solder the twisted wire before final installation making a good connection. 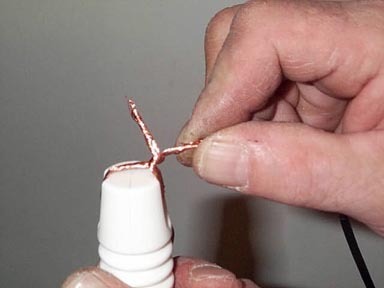 Use the other hole on the insulator for your rope.